Fruitless Pursuits: The Book Was Better Episode 133: Garfield 2: A Tail of Two Kitties! 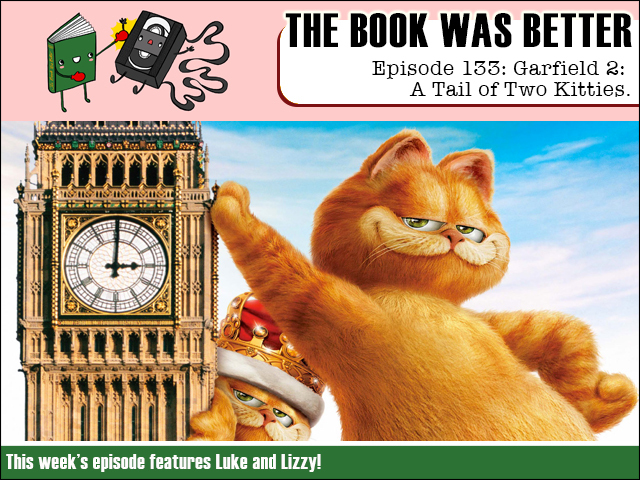 The Book Was Better Episode 133: Garfield 2: A Tail of Two Kitties! The Book Was Better is back! This week the formidable Lizzy Unpronounceable and I tackle the most loathsome of creatures - the novelization of Garfield 2: A Tail of Two Kitties! And this time Garfield is in London! And still likes lasagna! And still hates Monday. HAHAHA Garfield, so fresh after all these years! Don't worry though, we pepper this episode with lots of interesting tangents! Did I mention he hates Mondays?